Our featured review this week is The Meg, a new shark/monster movie starring Jason Statham. 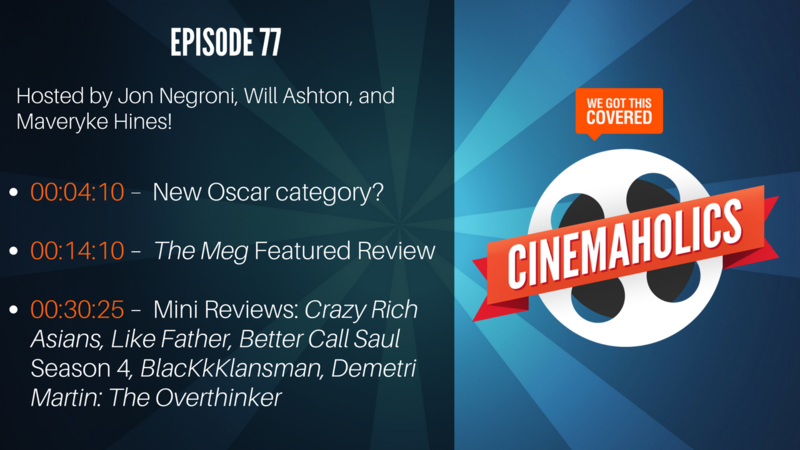 Cohosts Will Ashton and Maveryke Hines joined me this week to discuss the film, plus some others including an early sneak peek review of Crazy Rich Asians. Don’t forget, our Q&A episode is rapidly approaching, and we’re still collecting your burning questions. We’re obviously hoping for film-related inquiries and topics, but feel free to ask whatever’s on your mind!